You CAN afford to go solar! Electricity rates are rising, and the cost of installing solar for your home is plummeting therefore making solar more affordable. Tax incentives, Solar Renewable Energy Credits (SRECS) and free electricity make solar an excellent investment, and the MassSolar Loan makes solar an option for everyone. If you are not looking into solar for your home, you are missing out! There is a 30% federal tax credit, $1,000 MA state tax credit (primary residences only), AND you make money from every kilowatt hour your solar system produces for ten years through Solar Renewable Energy Credits (SREC’s). Most solar systems pay for themselves after 4 – 6 years. After that, it’s all good. You are getting free electricity, plus a quarterly check for the sale of your Solar Renewable Energy Credits (SREC’s). It’s a win, win for you!! If you want to be cash flow positive at the end of year one, you can take advantage of the MassSolar Loan Program. Based Loan Support. For example, if your gross annual income, for a household of two, is under $88,926, you may be able to receive additional assistance to reduce the loan principal up to 20%. If the household income is lower then up to 30% of the principal buydown is available. In other words, the MassSolar Loan Program will pay for 20%-30% of the gross cost of your solar system if you qualify income-wise. Please see the table below to find out if you qualify. Leasing…too good to be true?  Skeptical about leasing a PV System for your home? You should be! Beware of a leasing company’s sales pitch that sounds too good to be true.  It is true that you can save money on your electric bill with a solar lease, but you are missing out on an opportunity for much greater savings, and an excellent investment opportunity. You are also exposing yourself to complications when you go to sell your home. Purchasing a solar system is a large upfront cost, but it is an excellent investment. Once the system is paid off (typically 4-6 years), not only will it reduce or eliminate your electric bill, but you will make money each year. Do not give away the rights of your roof to a solar leasing company! Many leases contain an escalator clause that can further reduce savings by increasing payments 3% per year. So if you’re paying 12 cents per kWh in year one, with a 3% escalator, you’ll be paying 18.2 cents per kWh in year 15. That means if the cost of energy doesn’t rise as quickly as the contracted lease payments increase, your savings could evaporate. The leasing company is also getting your SREC’s and you cannot take the 30% federal tax credit. What is really happening is that the leasing company is using your roof and making a ton of money doing that. Money that could be in your pocket instead.  With the Solar Loan, Tax Credits & SRECs, and increasing electric rates, there has never been a better time to install a solar system. You CAN afford to go solar! Thank you! Glad you find the blog informative. this web pagе, it consists ߋf precious Ӏnformation. 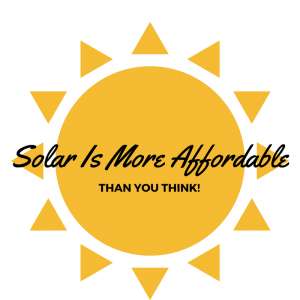 Solar is a great investment if it’s right for you! Folks in heavily wooded areas would be an exception of course but I advise getting solar energy for more reasons than just the savings alone. Helping the planet be greener by doing your part makes a huge impact, one person at a time! One person at a time, is right! Thanks for the feedback! This is very interesting and entertaining post solar affordable solar loan leasing tax credits. There are best . It’s so helpful for all electricians. Thanks for this type of information.